JIPMER 2019– Jawaharlal Institute Postgraduate Medical Education & Research will conduce the JIPMER MBBS 2019 on 02 June for the admission of the eligible candidates in the MBBS course, offered by the JIPMER, Puducherry & JIPMER, Karaikal. 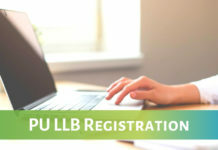 JIPMER 2019 registration will be commenced from 06 March 2019. The last date to submit JIPMER application form is 12 April 2019. Candidates who have qualified the class 12th examination in 2018 and candidates who are appearing in the same in 2019 are eligible to take the JIPMER MBBS 2019 Examination. The exam conducting authority has released the JIPMER 2019 exam dates on its official website and the official notification will be released shortly. 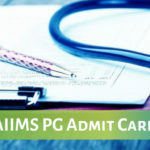 Read the article to get complete details of JIPMER Medical entrance test 2019 including eligibility criteria, application form, exam pattern and other details. They must have completed 17 years of age at the time of admission. 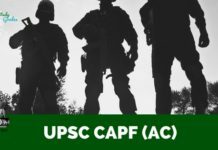 The candidates must have passed class XII or Indian School Certificate or any other equivalent to class XII with minimum of 50% marks (45% for SC/ ST/ OBC/ PH) candidates. The last two years of study must comprise of Chemistry, Biology/ Bio-technology, Physics, or any other elective subject with English as core subject. They must have scored prescribed marks in Chemistry, Physics, Biology/ Bio-technology individually and together as well. Candidates who satisfy all eligibility norms can apply online for JIPMER 2019. 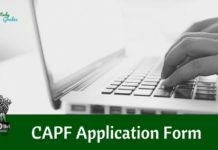 Any application received after the last date i.e 12 April 2019, will not be accepted under any circumstances. The JIPMER application form 2019 will released online on 6 March 2019. The candidates will have to provide all the required details in the JIPMER MBBS 2019 application form. All the details filled in the application form should be correct and valid. 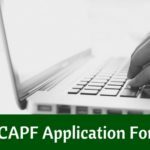 To complete the application form, the candidates will have to pay the application fee as well. Without it, the form will not be considered complete. The syllabus of JIPMER MBBS 2019 will be similar to the CBSE class 11th and 12th syllabus of Physics, Chemistry and Biology. The JIPMER syllabus 2019 includes all the important chapters that candidates should prepare for the JIPMER medical entrance test. Physics- Electrostatics, Current Electricity, Magnetic Effect of Current & Magnetism, Electronic Devices, Optics, Atoms & Nuclei, Electromagnetic Waves, Dual Nature of Matter, Electromagnetic Induction & Alternating Current and Communication Systems. Chemistry– Solid State, Solutions, Haloalkanes and Haloarenes, Electro-Chemistry, Surface Chemistry, Alcohols, Coordination Compounds, Phenols and Ethers, Chemical Kinetics, Aldehyde, Isolation of Elements, Ketone and Carboxylic Acids, Biomolecules, d- and f-Block Elements, p-Block Elements, Polymers, Organic Compounds containing Nitrogen and Chemistry in Everyday Life. Biology- Diversity of Living Organisms, Biology and Human Welfare, Cell Structure and Function, Genetics and Evolution, Plant Physiology, Human Physiology, Ecology and Environment, Biotechnology, and Structural Organization in Animals and Plants. English– Reading Unseen Passages and Note-making, Literature and Long Reading Text, Writing Skills. 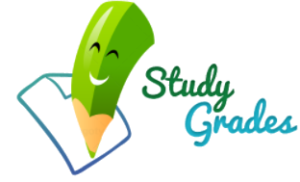 Revise the prepared syllabus on a regular interval to stay connected. Refer NCERT books and only books from good authors. 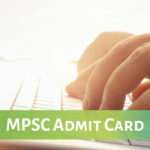 The JIPMER MBBS 2019 admit card will be released online in the 3rd week of May 2019. 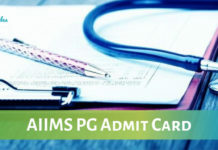 Candidates should have their application number and password/ date of birth to download the admit card of JIPMER 2019. 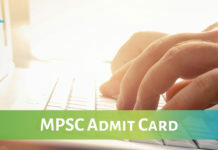 The admit card will contain the examination details such as roll number, exam venue and other. Hence, it is necessary to bring at the examination centre. Candidates should also bring their Aadhaar card/ E-Aadhar with validated digital signature /Passport along with the hall ticket. The result of JIPMER MBBS 2019 will be released online in the third week of June 2019. On the basis of candidate’s performance in the JIPMER Medical entrance test, selected candidates will be called on the basis of their rank to offer admission in the Institute. Stay Connected With StudyGrades for Latest Updates on JIPMER 2019! 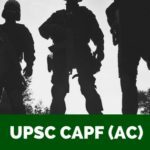 Previous articleHow to Prepare for CAT 2018?